Last 3 hours to support me!! You’ve got 3 – THREE – last hours to support my Carnegie Hall Debut! Since I met the minimum goal of $ 4000 yesterday, thanks to amazing supporters, I have stretched my goal: If I get additional $ 400, I will spend them on a flight to Toronto, to volunteer with colleague Shari Tallon on her charity project for Liberty for Youth! YOU can make it happen! Here’s the link to my Kickstarter campaign! Here’s the link to an Interview by Michael Miller, which is just released! Of course, we want people to appreciate art, but we also have a responsibility of bringing art to people, regardless of their ability to actively support us in return. Personally, I see it as part of our duty to explain and demonstrate what art can do for people. It’s about people, after all! And we – as musicians and artists – have something to give! After the article in the New York Times last summer, which presented my research on 19th-century piano technique, I got in touch with so many great people! One of them is Canadian pianist and flutist Shari Tallon. We have e-mailed, skyped and sent messages and links over the last few months. We have exchanged ideas and inspired each other! 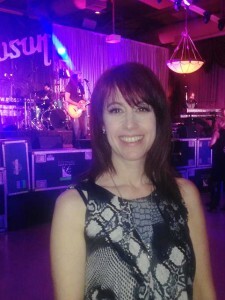 Shari (photo) is extremely passionate about charity. What I admire about her, is how she connects people to each other in the process, enriching so many lives. When Shari recently began working for Steinway Piano Gallery Toronto (Tom Lee Musuc), she immediately initiated a partnership with Hamilton School of Music. Now, the music school school is holding a Practice-a-thon all throughout June in order to help Liberty for Youth. According to their website, this organization “provide[s] prevention and intervention mentorship for at-risk youth”, 12-25 years of age. 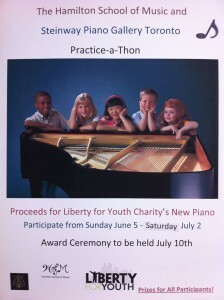 The Practice-a-thon at Hamilton School of Music will help Liberty for Youth to acquire a piano for their music room! How cool is that?! I can’t wait for an update on this exciting project! In the meantime, please be inspired to think about how your artistic endeavors may benefit people around you! Dare to think big and reach out to people outside your everyday circle with an idea, a thought, a suggestion. Sooner or later, you will find your charity partner! Do you want to support me going to Toronto in March, right after my debut recital in Carnegie Hall, to teach, perform and give these kids some great musical experiences? Act fast: support my Kickstarter campaign for my Carnegie debut which is already funded in full – the next $ 400 will cover my flight to Toronto!! Forget about ‘When Harry met Sally’. ‘When Robert met Clara’ would beat most romantic movies! The young Robert Schumann had just moved to Leipzig to study law when he attended a private concert and was introduced to the renowned piano pedagogue Friedrick Wieck – and his talented daughter. The year was 1828 and Clara was 8 1/2. None of them knew it, of course, but this was the beginning of a long, painful, joyful love story. 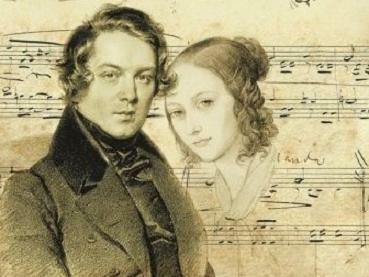 Robert Schumann, the literary addict, took intensity, courtship and romantic longing to a new level. First, let’s remember that the thought of matrimony because of love was a rather new thought in the early 19th century, perhaps introduced by Goethe’s Die Leiden des jungen Werthers (Sorrows of Young Werther) in 1774. Yes, we know that Schumann liked Jean Paul! But I would argue that he also owed a great deal to Goethe. The psychological depth is present with both authors, and Schumann’s complex personality embraced and portrayed childish simplicity one minute and unequalled intensity of human feeling the next – just listen to Kinderszenen (op. 15) and Fantasie (op. 17) respectively! I also strongly suspect that Schubert was a strong inspiration regarding both of these aspects. (Schumann’s admiration for Schubert is documented by the fact that he bought scores from Ferdinand Schubert and saw to it that Schubert’s Great C major symphony was premiered). 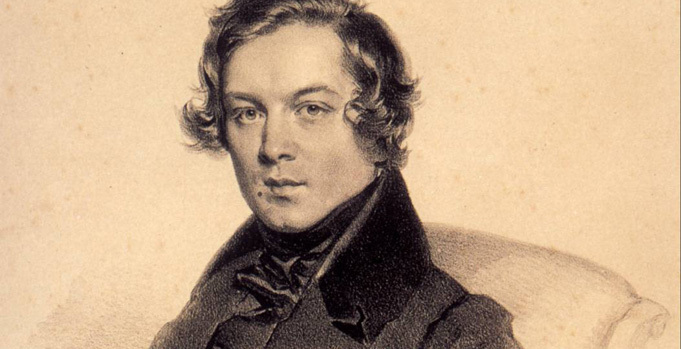 Let us return to Schumann’s personal love story. After a romantic relationship slowly evolved with Clara, Friedrich Wieck did more than his share in preventing a future marriage. He simply forbade the two to meet, and during long periods even to write letters. This does not mean that no letters were written, though. Friends and maids served as secret mail service agents to keep a minimum of conversation going. The only communication allowed by Wieck, was the exchange of musical compositions – and this strict rule was even enforced after their engagement! Wieck did respect Schumann as a composer, and he did want his daughter to compose. Clara was allowed to perform Robert’s works even if they were not allowed to meet. Imagine the feelings contained in their works – feelings which had only one expression: sound. Sound, modelled for piano. In tones and chords and phrases, as they thought of each other. Did you pass by our window last night? Alwin claimed to have seen you. Did you perhaps hear that I rehearsed your music? Yesterday and the day before yesterday, I passed by your window. I thought that you’d come out. It was thundering and I was standing at your house for half an hour. Did you not feel it? Adieu. When will we get to talk??? Robert Schumann endured it. He endured the thunder and the rain and the separation and the longing which seemed to have no end. After an unsuccessful engagement to Ernestine von Fricken, his heart was set on Clara (then 16 years), and he refused to live without the woman he loved. He and Clara did not give up, and they did marry in the end. It is questionable whether they lived happily ever after, but there were clearly times of shared happiness, success and enjoyment. Perhaps you cannot express intense joy without knowing the pain of missing it?